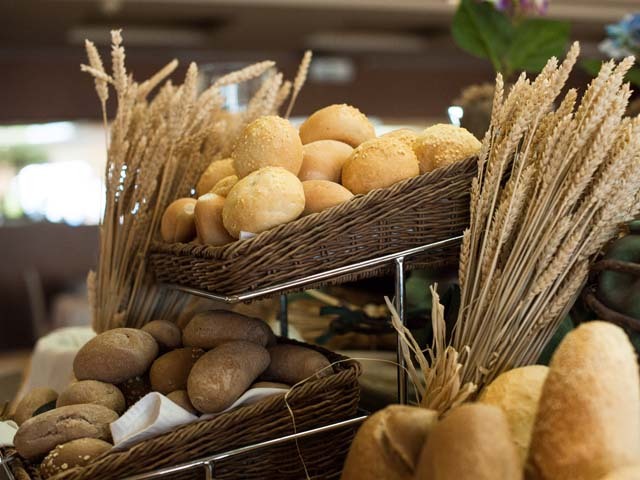 Welcome at the SENTIDO Ixian Grand. 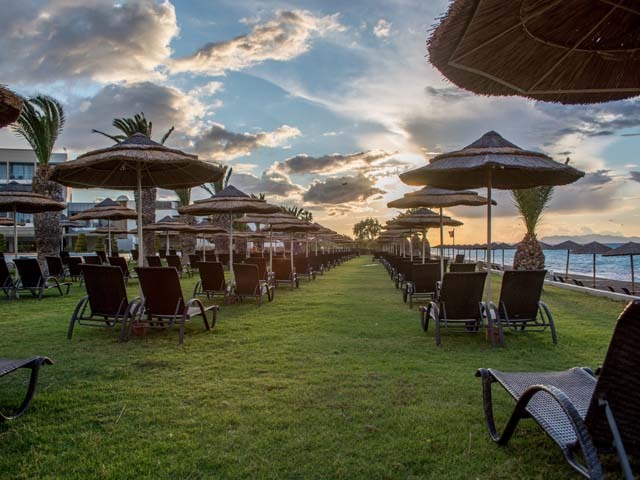 A 5 star resort hotel at the West Coast of Rhodes Island, right on the Ixia beach. 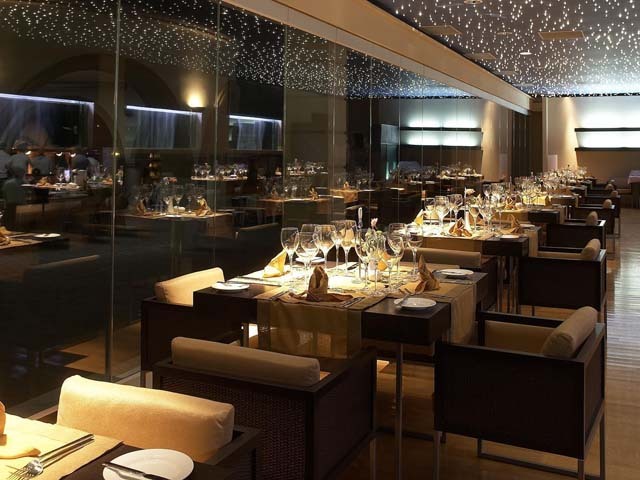 A truly magnificent beach front resort hotel consisting of 246 rooms dedicated to Adults Only (over 16 years old). 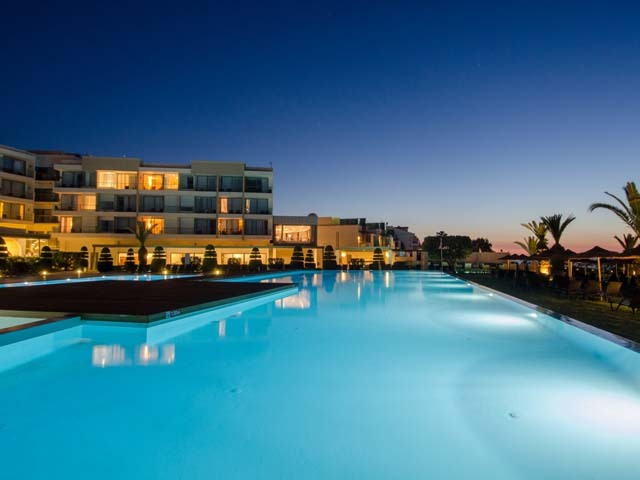 Just 6km away from Rhodes Town and 7km away from Diagoras International Airport, SENTIDO Ixian Grand is the ideal base for you to explore the endless beauties of the Island of Rhodes. Enjoy the cool breeze of the West Coast, the most beautiful sunsets by the beach and feel the ultimate comfort at the luxurious surroundings. 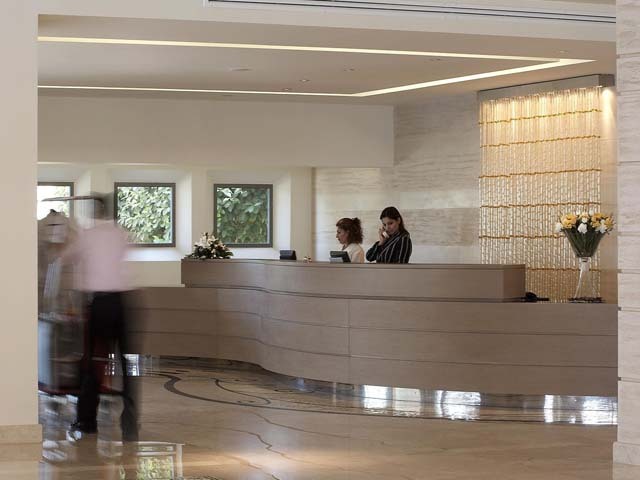 SENTIDO Ixian Grand is just a few minutes away from the World Heritage Monument, protected by UNESCO, The Medieval City of Rhodes and the Mount Filerimos with its breathtaking panoramic views. 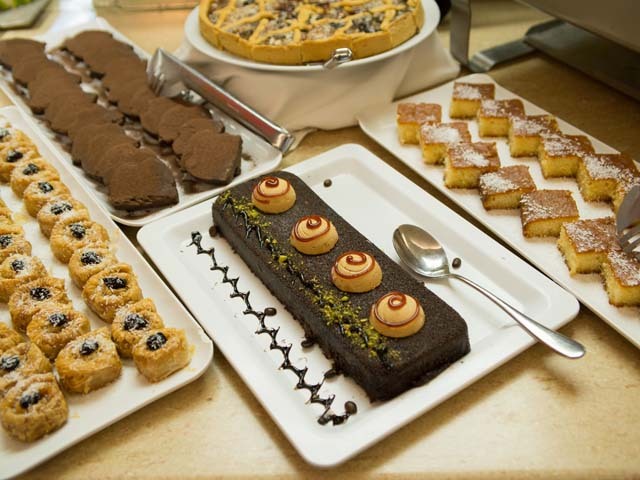 Experience traditional dishes, Mediterranean cuisine, show cooking and authentic flavors in picturesque settings. 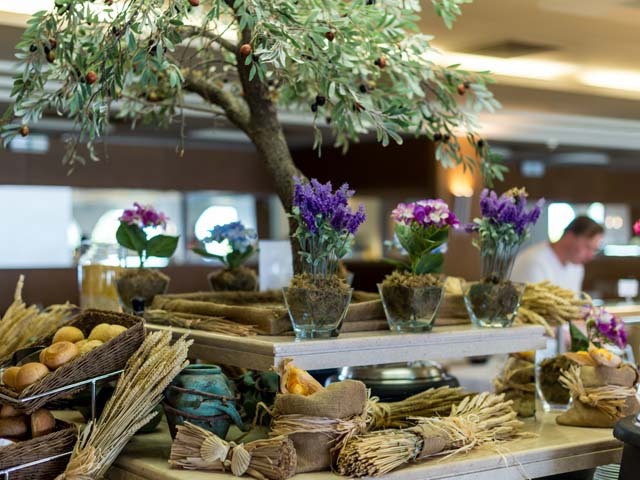 Admire the lush garden views at the main restaurant, the endless sea views across the azure blue Aegean at the A la Carte Tavern or heighten your senses on a gastronomical journey in the contemporary and stylish A la Carte restaurant DeGu7. 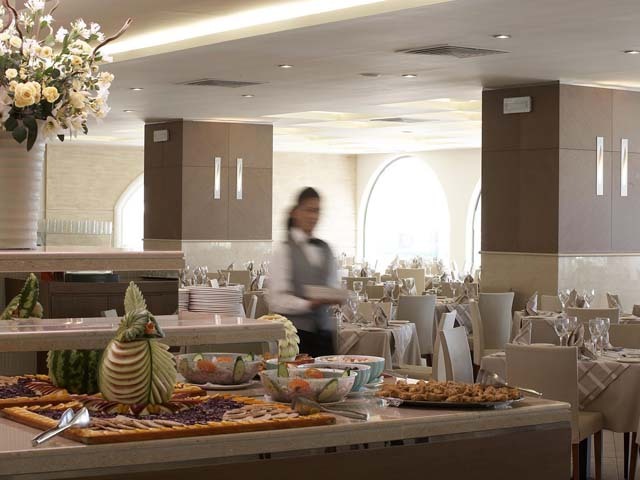 The hotel's main restaurant is located at the main building of the hotel offering breakfast and/or dinner in buffet. 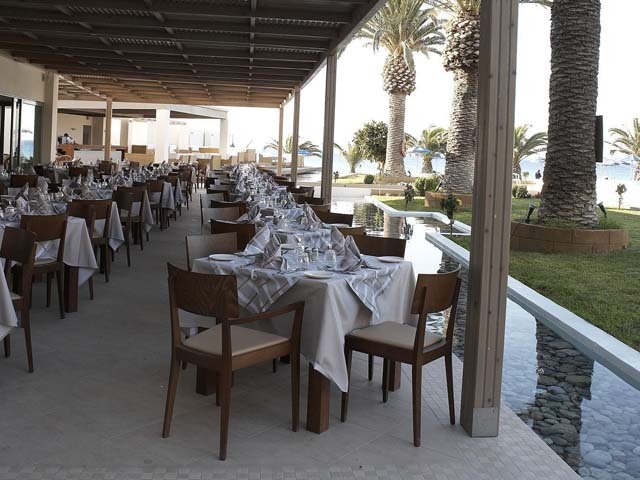 Focusing mostly at the Mediterranean nutrition and the Greek cuisine, the Vis à Vis main restaurant extends up to the gardens and offers large space of sitting area with an enjoyable view to the lush gardens and pools in the front. 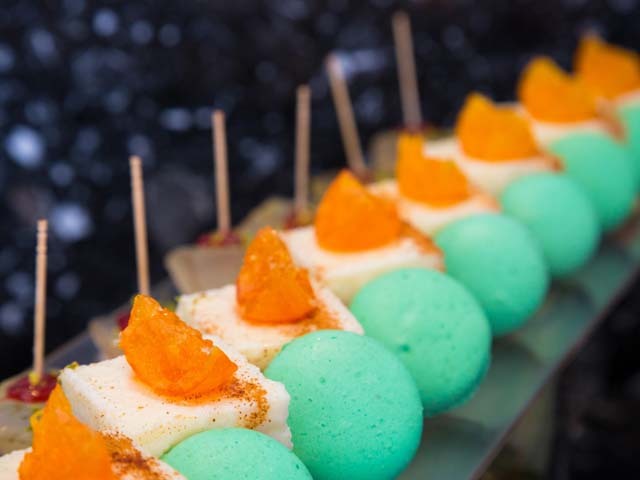 Theme nights are also organized during high season and from the show cooking spot you may enjoy fresh waffles, pancakes, crepes and choices of omelets in the morning or grilled specialties in the evening time. 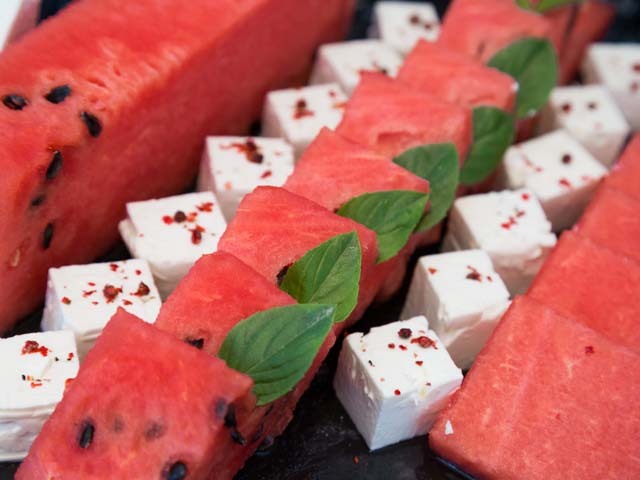 Located by the pools, The Milonges Greek à la carte restaurant is available for lunch only offering mostly grilled meat and traditional Greek dishes. 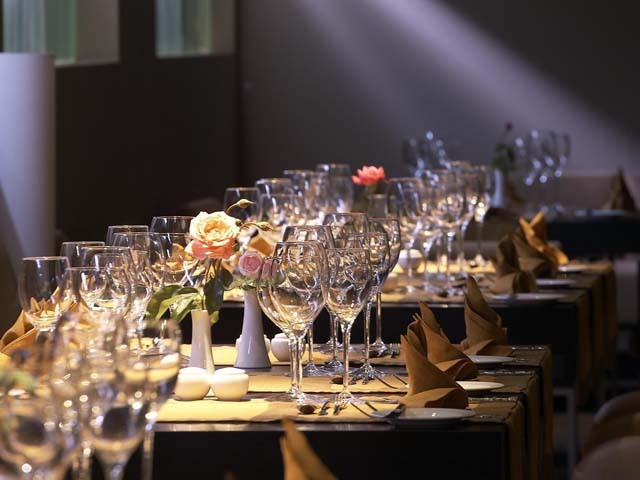 The DeGu7 Restaurant is offered for special functions and private events. 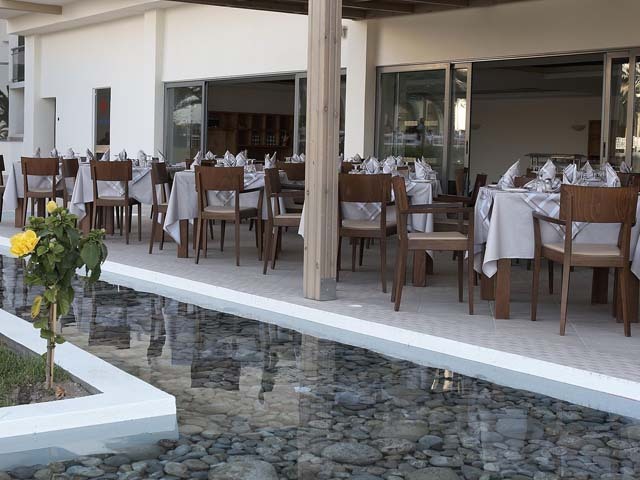 This pool and beach bar is located exactly next to the Milonges Greek a la Carte Restaurant. Refreshing cocktails, snacks and soft drinks are served either at the bar or at your sun bed while bathing under the Greek hot sun. Located at the Main Building, the Deluxe Rooms Sea View offer sight to the Aegean Sea and the West Coast magnificent sunsets. 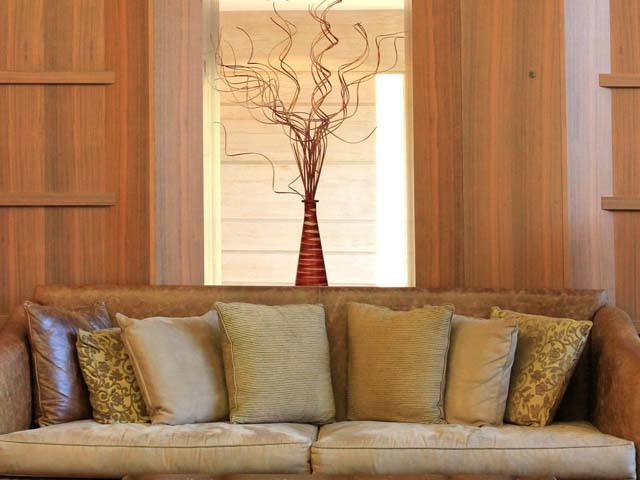 Decorated with minimal design, warm colors and relaxing ambience. 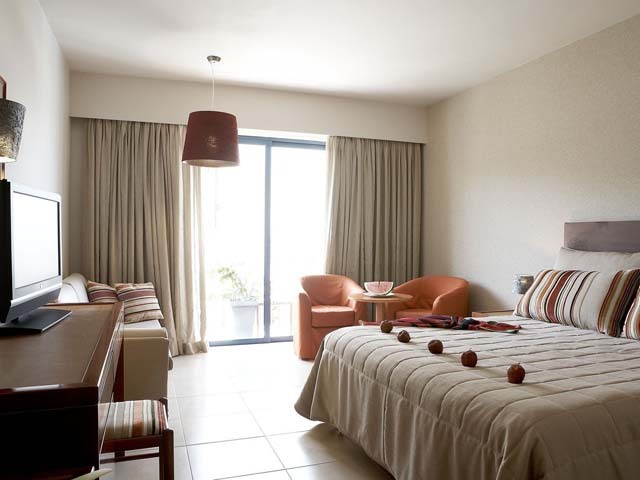 The Deluxe Rooms Sea View feature a comfortable king-size bed and a sofa bed converted to double bed. The 87 comfortable one-space Double Inland View by the Garden Wing, with comfortable double bed and sitting area, are decorated in warm colors and face either the surrounding gardens or the street. 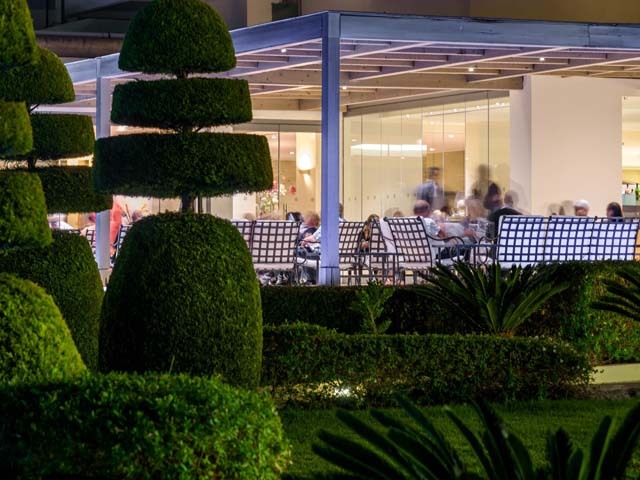 Located at the Main Building, the Deluxe Garden View Rooms offer sight to our alluring gardens. 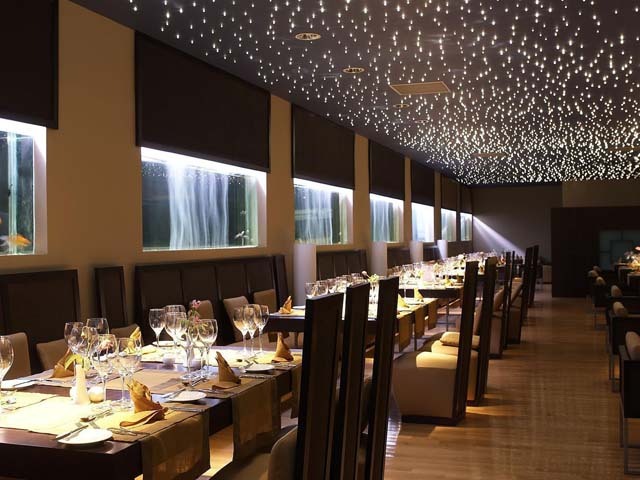 Decorated with minimal design, warm colours and relaxing ambience. The Deluxe Rooms Garden View feature a comfortable king-size bed and a sofa bed converted to double bed for either 2 or 3 adults. Meet pure elegance in the brand new Premium - Rooms with Garden View. 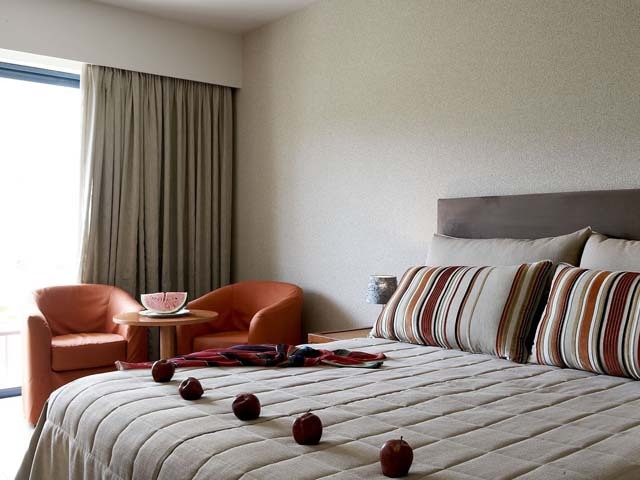 Designed with the highest of standards, they combine the fresh touch of a new room with the ultimate in-room comfort. 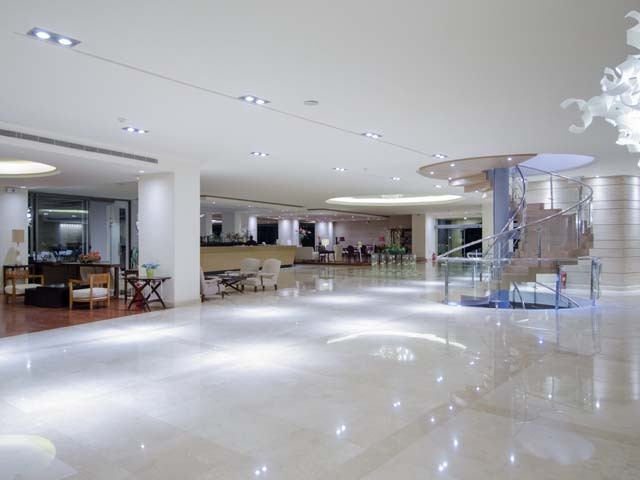 Contemporary and innovative design that will enhance your accommodation experience. The stylish guestroom features a king-size bed with premium mattress, tiled floor, seating area, balcony with furniture overlooking the lush gardens, Led TV with satellite channels. The bathroom features a corner Jacuzzi bath for your moments of relaxation and a walk-in shower. The newly introduced Premium Swim Up rooms with Garden View are designed in every detail to heighten your accommodation experience. The cozy character of this room is reflected by the light colors and the comfortable spaces. Kick back and slow down by your private or sharing pool to enjoy nothing but the sun. The guestroom features a king-size bed with premium mattress, tiled floor, seating area, private/sharing swimming pool overlooking the lush gardens, Led TV with satellite channels. The bathroom features a walk-in shower and luxury personal care amenities. 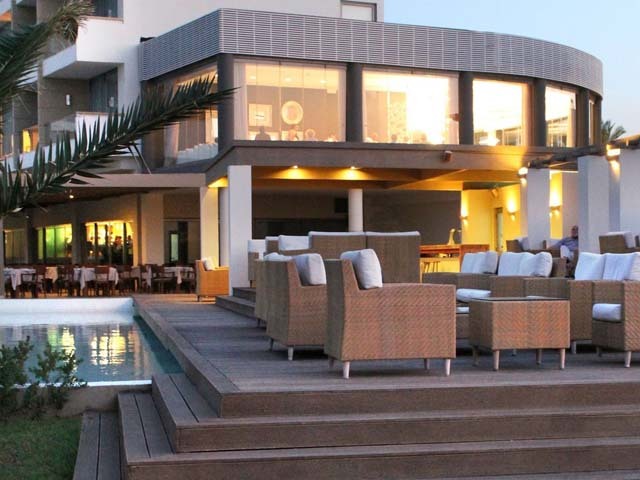 Suites laid out on two levels featuring a private pool, wooden deck with private sun loungers. Offering a large space of approximately 53 m² with the master bedroom (king size bed) on the upper floor and the living room area on the lower floor. They feature two baths, one with Jacuzzi and one with shower. Max. capacity 2 adults. 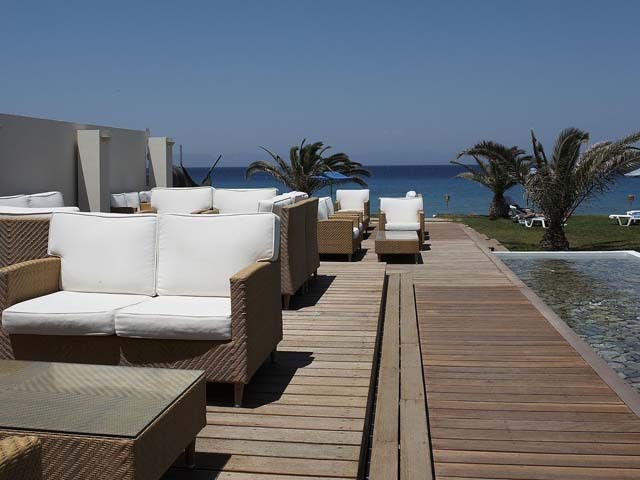 Elegantly furnished open plan suites with large private swimming pool, wooden deck and sun loungers. Offering a large space of approximately 46m² with king size bed and living space with corner sofa. They feature Jacuzzi tub in the bathroom. Max. capacity 2 adults. 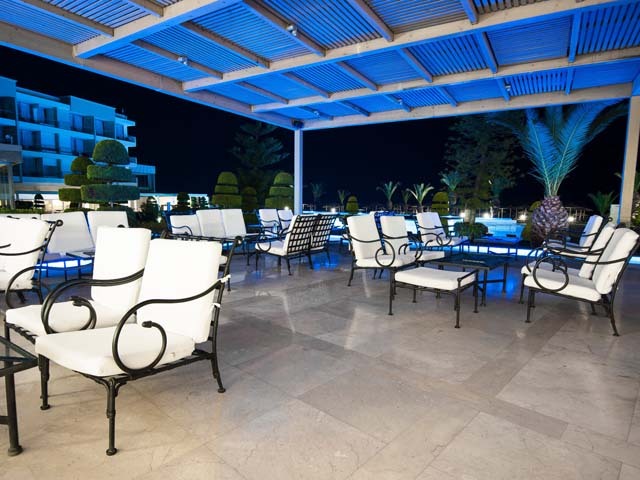 The 16 Beachfront Grand Suites are located directly on the water front. 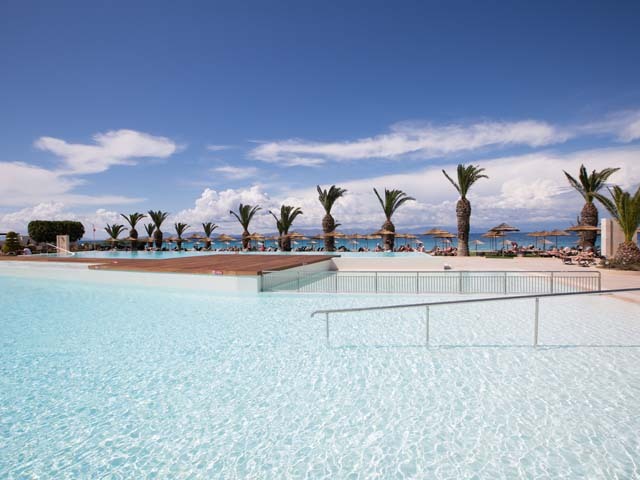 They are the top suites of the hotel, as they offer extraordinary sea views and also feature a private part of a sharing pool, with wooden deck and sun beds. A king size bed is available and 2 sofas converted to bed. Large wardrobe and a spacious bathroom with separate Jacuzzi tub and shower cabin is available. 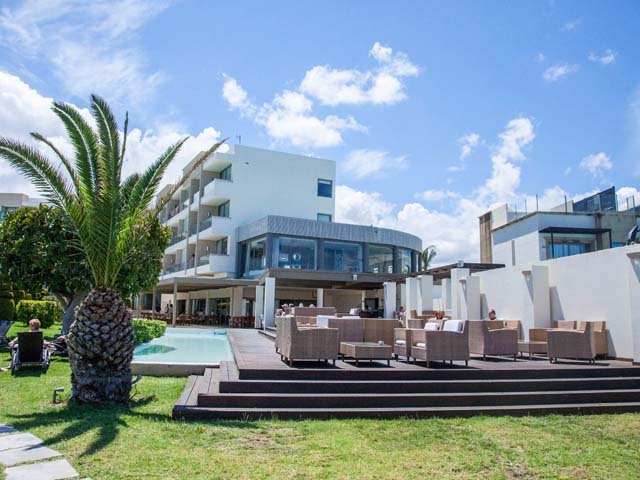 The beachfront suites are also available on the 1st floor, where the pool is located on the roof top for total privacy, with superb views to the entire Ixia Bay up to Rhodes Town. 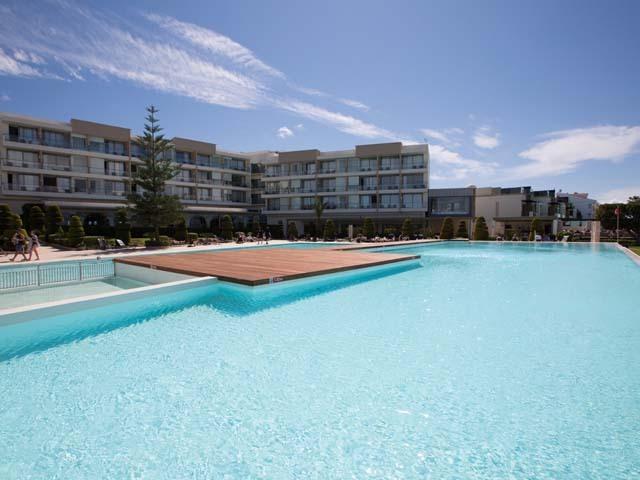 On the magnificent island of Rhodes, on a quiet location, right on the endless beach of Ixia, The Ixian Grand is an ideal choice for those that would like to combine the unrivaled views of the azure Aegean with the cooling breeze of the island's west coast. 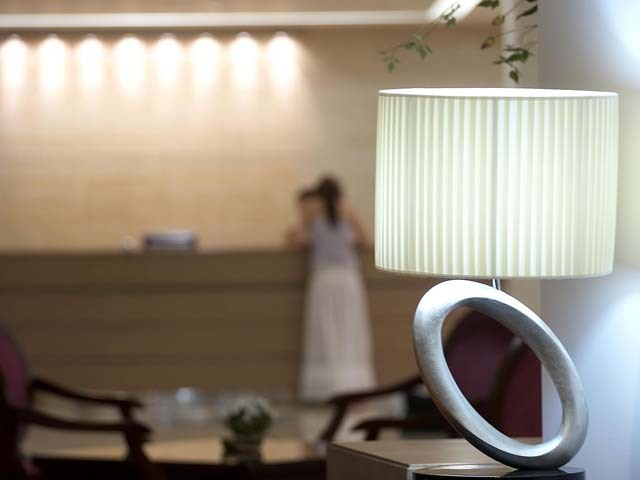 The Ixian Grand is an excellent base for exploring the countless beauties of the island starting from the nearby Filerimos Hill and the ancient city of Ialysos, as well as the nearby Medieval City of Rhodes. 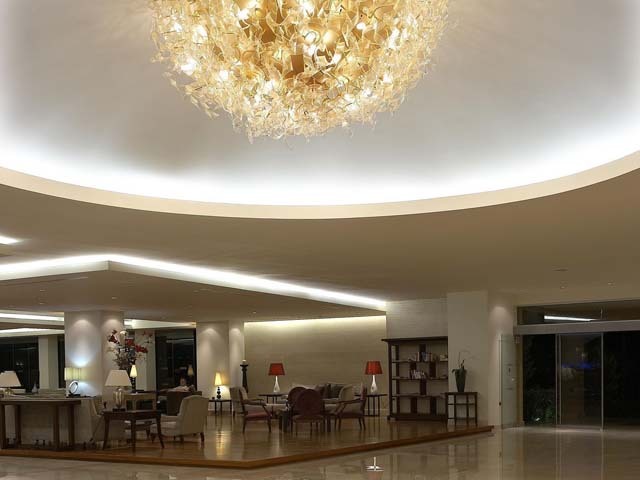 The Ixian Grand is situated at an ideal beachfront location at the resort of Ixia. The center of Ixia village is 850 m, the city of Rhodes is just 6 Km away and the Airport at 7 Km. 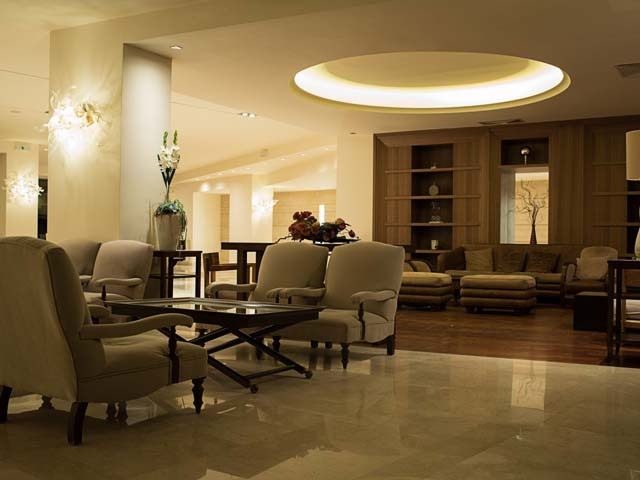 Transportation is provided by public buses (Bus station at 200m from the hotel) and taxis. Beach: Directly in front of the hotel. 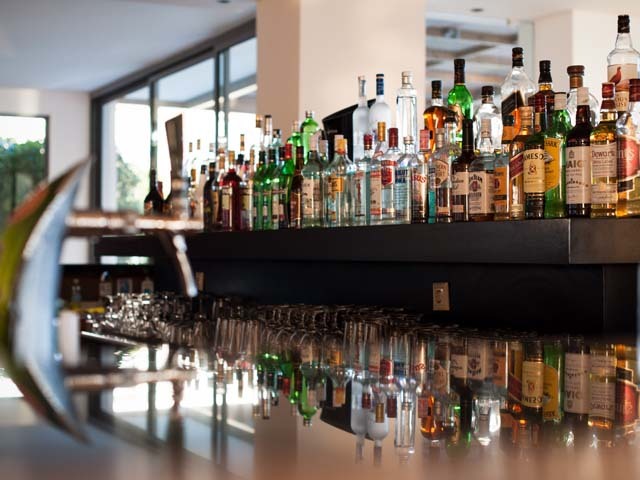 Ixia Resort Area: Selection of bars, tavernas, supermarkets and other shops within 350m. Super Early Bird Offer !! till 30.04.19 Free All Inclusive Deluxe Rooms !! 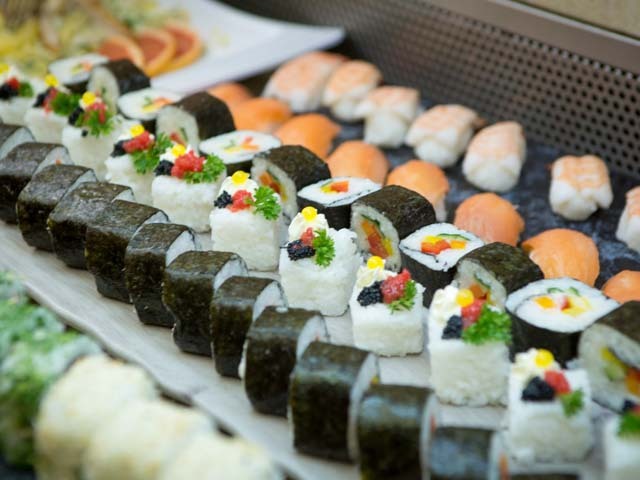 Book now and Save up to 30% !!! Complimentary All Inclusive in Deluxe rooms & Half Board in Suites The offer is valid for bookings received before 30/04/19 !! ​Full payment is required till 10/05/19 - Free Cancellation !! Open: April - October ... 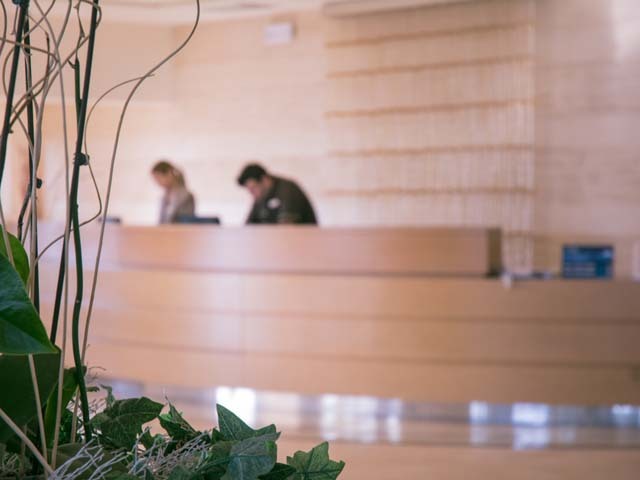 Welcome at the SENTIDO Ixian Grand. 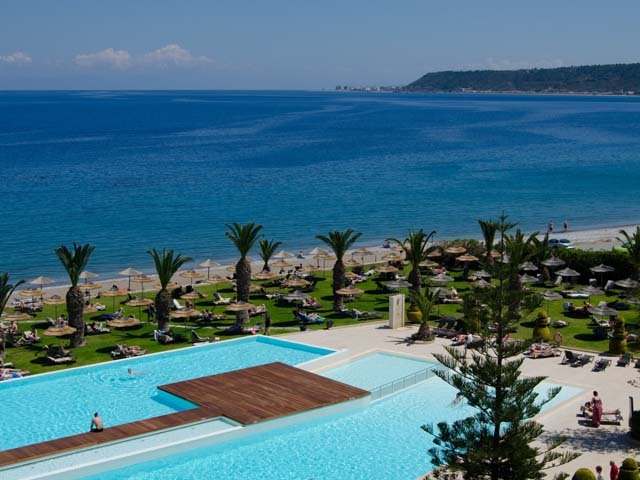 A 5 star resort hotel at the West Coast of Rhodes Island, right on the Ixia beach.